How to watch Attack the Block (2011) on Netflix India! Sorry, Attack the Block is not available on Indian Netflix, but you can unlock it right now in India and start watching! With a few simple steps you can change your Netflix region to a country like United Kingdom and start watching British Netflix, which includes Attack the Block. We'll keep checking Netflix India for Attack the Block, and this page will be updated with any changes. Attack the Block is not available in India BUT it can be unlocked and viewed! When aliens attack South London, a teen gang bands together to protect their turf, but extraterrestrials prove to be much tougher than a rival gang. When a city-wide space-monkey attack exposes you for the juvenile gangster wannabe you are, it's time to REALLY man up. There is a way to watch Attack the Block in India, even though it isn't currently available on Netflix locally. What you need is a system that lets you change your Netflix country. 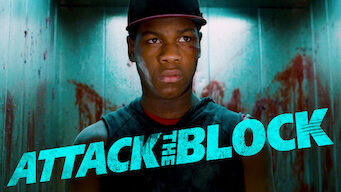 With a few simple steps you can be watching Attack the Block and thousands of other titles! Want to learn how to get American Netflix in India?